Digital connectivity is a phenomenon of the 21st century and while many have debated its impact on society, few have researched relationship between the changes taking place and the actual impact on learning. 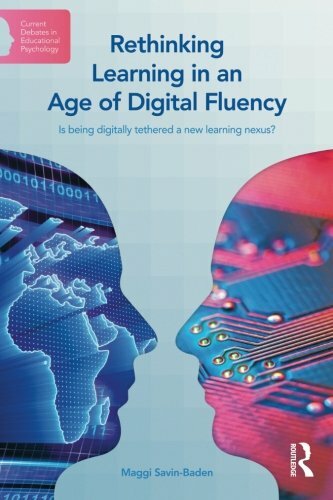 Rethinking Learning in an Age of Digital Fluency examines what kind of impact an increasingly connected environment is having on learning and what kind of culture it is creating within learning settings. Is being digital tethered a new learning nexus? Are social networking sites spaces for co-production of knowledge and spaces of inclusive learning? Are students who are digitally tethered creating new learning maps and pedagogies? Does digital tethering enable students to use digital media to create new learning spaces? This fascinating and at times controversial text engages with numerous aspects of digital learning amongst undergraduate students including mobile learning, individual and collaborative learning, viral networking, self-publication and identity dissemination. It will be of enormous interest to researchers and students in education and educational psychology. About: "This is a book that I am going to have to own, and will work to find contexts in which to recommend. With William L. Reese | Expanded edition from Prometheus Books (August 1, 1996); titled "Dictionary of Philosophy and Religion: Eastern and Western Thought"
About: First published in 1980, and now substantially revised and enlarged, this panoramic survey of philosophic and religious thought, both ancient and modern, provides access to a wide array of ideas. With Omar Dahbour, Micheline R. Ishay (other contributor) | from Prometheus Books (March 1, 1995); titled "The Nationalism Reader"
About: The proclamation of a "New World Order," hailed at the end of the cold war, coincided with an eruption of nationalism.